At Brokey's LLC, we believe in hard work and great quality, just as our ancestors did. We are focused on creating quality mixes, with the highest levels of customer satisfaction – and we will do everything we can to meet your expectations. With a variety of offerings to choose from,, and more in the future, we’re sure you’ll be happy with our products. We also offer co-packing for small scale projects that contain non-alergenic ingredients.! Please see our co-packing tab for more info. So look around our website and if you have any comments or questions, please feel free to contact us. We hope to see you again! It's more than our Flagship Hot Toddy Mix. There's a story behind it. Just ask someone from the coal region . Boilo is a drink thats about more than just its taste. It's about the experience. The experience of doing something no one else does or can do. The feeling of conjuring up something majical and fun! It originated in the mountainous coal region of Pennsylvania. 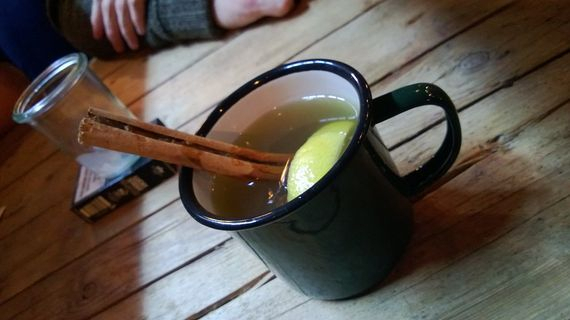 This iconic and delicious hot toddy is said to be derived by locals, and Coal Miners themselves . According to legend, the coal miners drank it to warm up after a long hard day of working in the cold - coal mines. Whatever the origin, the result is still the same : Warmth, a rememberance of our History, and just a delicious drink which reminds people of good times with friends and family. This mix is custom blended to make "Boilo" quick and easy while not losing that great taste we all love and enjoy. Get some for yourself, your friends and family, or take some with you to your next tailgater ! Just remember to drink responsibly! We hope you'll enjoy our product !